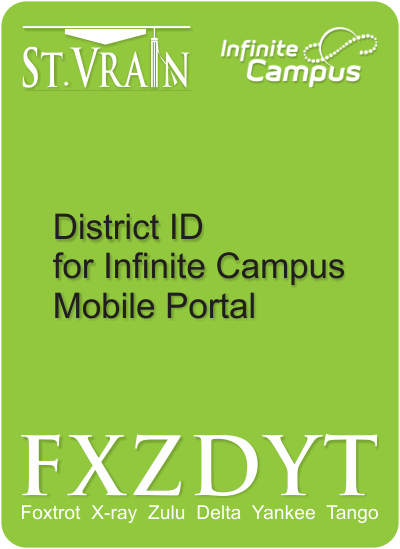 Description: Infinite Campus (IC) is the district’s student information system. This online tool houses student data including: enrollments, attendance, class schedules, grade book, transcripts, immunization history, household (family) relationships, and more. It is the official source of information for state reporting, current transcripts, phone/text communications from the district to staff and parents. Specific access to Infinite Campus is based upon job responsibilities. The following series of email is sent to new teachers. The first email is sent about three days after they get a St.Vrain email account. The rest are sent three days after the previous. The series was also sent to existing teachers at the beginning of August 2017. Please email or call the Help Desk with any Infinite Campus issues or problems.